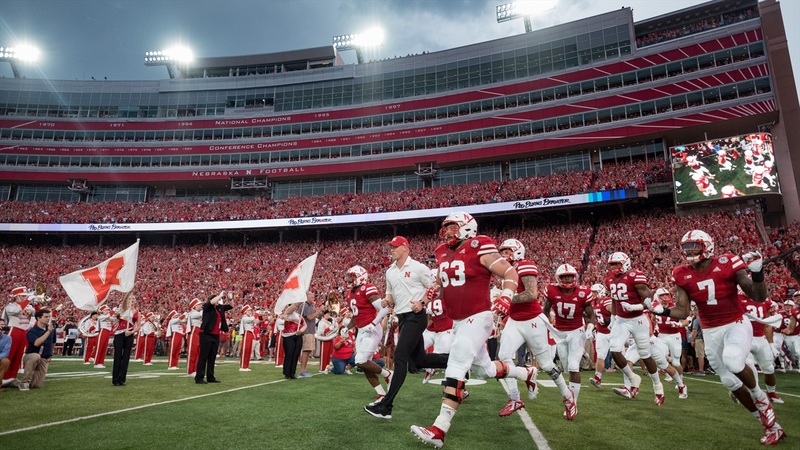 Go back and watch the Tunnel Walk from Nebraska’s April 21 spring game. Okay, now go back and watch the Tunnel Walk from Saturday’s canceled game against Akron. See any familiar faces? At the front of both groups you’ll find defensive tackle Peyton Newell, running back Austin Hemphill, linebacker Mohamed Barry and cornerback Eric Lee Jr. There is no order to it. If you line up first, you run out first. It’s really just a first come, first serve thing. There’s no pecking order. In other words, the guys who are at the front are guys who want to be at the front. Saturday was different from the Red-White scrimmage in a lot of ways, but it also represented a chance to clear Lee’s name. If you watch back the spring game footage, Frost goes to shake Hemphill’s hand and then turns to Lee. Then he waits. Then he waits some more. Guys in the locker room have given the junior corner plenty of grief over leaving his coach hanging, as have folks on Twitter. When the question started to come out about the handshake, Lee just started laughing and let out a long, “Yeah, yeah.” So when Saturday’s game rolled around, Lee got to the front of the line again. Like his teammates have said in the days following Saturday’s almost-game, Lee said the cancellation was a buzzkill after the build-up from the Tunnel Walk. With Saturday’s game against Colorado and a rivalry renewing, that atmosphere might get matched pretty soon. “Honestly I think it’s going to be 10 times what is was just because the rivalry that Nebraska and Colorado had back in the day nd then just how we had almost a quick glimpse of what’s to come and then had it shut off,” Lee said. “I think people are just anticipating Coach Frost’s debut that much more. Now just go two-for-two on the handshake.